Ships tomorrow if you order in the next 18 hours 59 minutes. 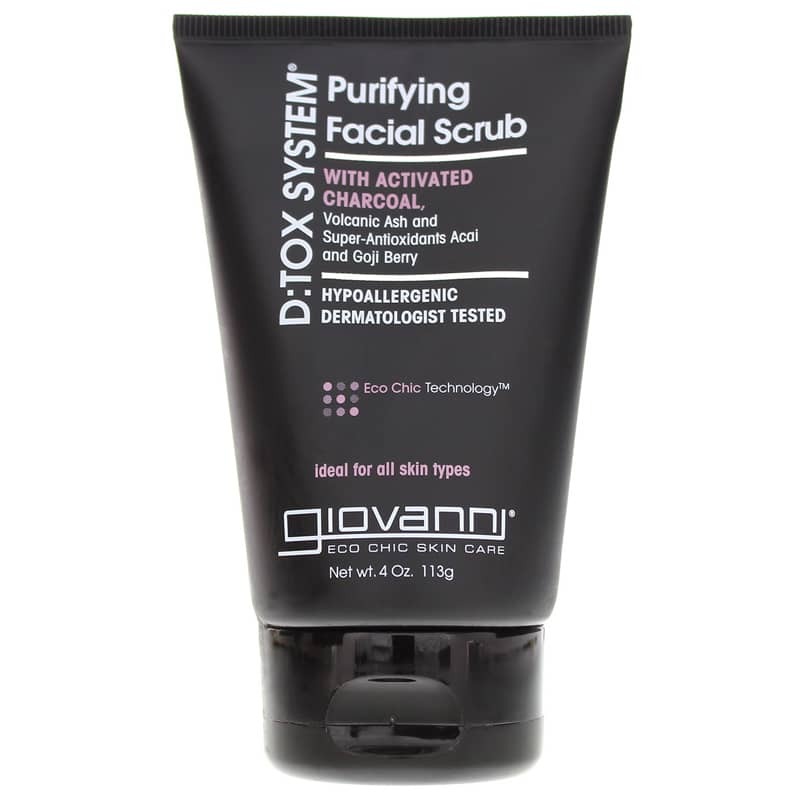 D:tox System Purifying Facial Scrub Step 2 by Giovanni is a natural and organic facial scrub that gently exfoliates skin and helps skin be pure and detoxified. 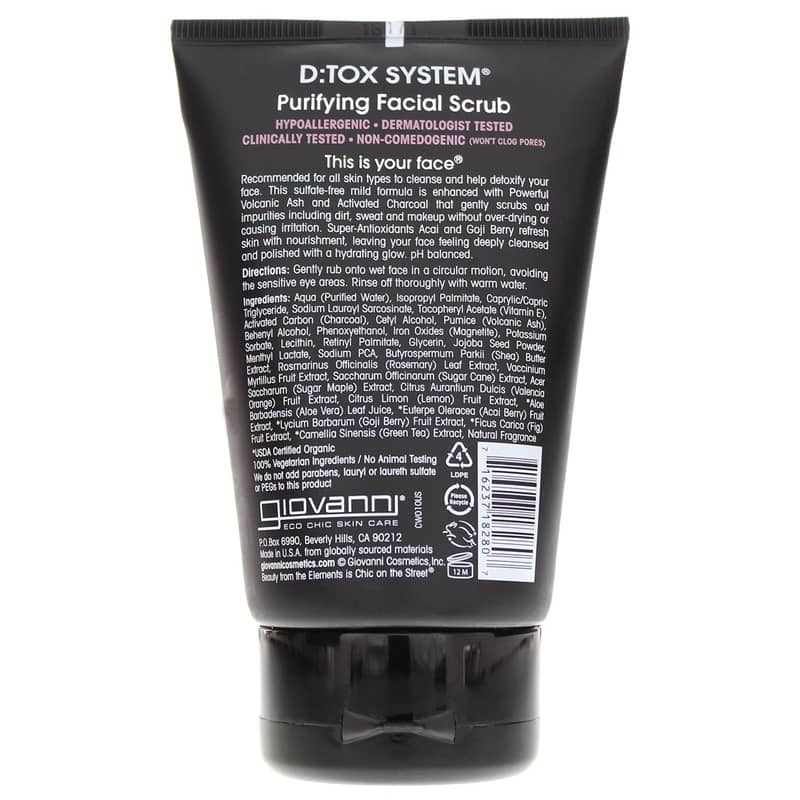 It will leave your face feeling buffed and smooth. With super-antioxidants acai and goji berry to rejuvenate your face and recharge cells. Apply after cleanser to wet skin. Massage in gentle circular motion using plenty of water. Rinse completely. Avoid delicate eye area.